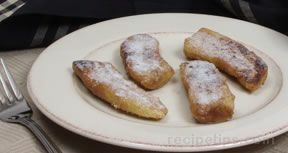 Amazingly easy to prepare and so tasty, this dish is a terrific accompaniment for pork or chicken or it can be served as a simple, yet satisfying dessert. 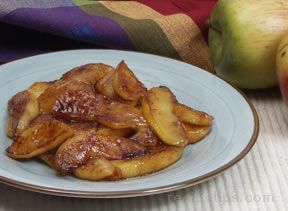 Our apple preparation guide will show you how to peel, core, and slice apples for this caramelized fried apples recipe. Peel the apples and cut into quarters. Remove the cores and cut quarters into 1/2" thick slices. Place the slices in a bowl of cold lemon water to prevent browning. 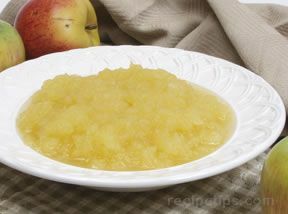 Soak for 5 or 10 minutes and then drain the apples and pat them dry with a paper towel. In a large skillet, heat the butter until it is bubbling. Add the apple slices to the skillet and continue to cook over medium high heat for approximately 5 minutes or until tender crisp and beginning to brown. Turn several times to brown evenly. 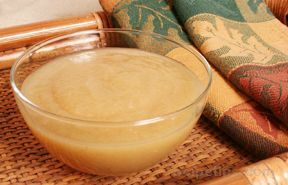 Add the brown sugar and continue to cook until sugar has melted and started to caramelize. Apple slices should be tender. Serve as a side dish while still warm. "Carmelized Apple recipe what does it mean by 2 butter and 4 brown sugar? Ingredients and their measurements are confusing. Please help." "Quick and very easy to prepare. The lemon water bath for apples really did keep them from browning (I used half a lemon in enough water to cover apples). Honeycrisp apples worked well. I added a little cinnamon to finish and served it over honey cake and ice cream." "These were delicious! I served them as a side dish to grilled pork chops. They went great together." "Just what I need for a quick dessert tonight. Served warm over vanilla ice cream sounds perfect!"